Let's talk about a must-have in your wellness and cooking toolbox. Whether you want to add an instant, magical chef's-touch to your cooking, or you want to support your immune system and respiratory system because…cold weather….Oregano is the answer. Oregano is a wonderful Italian/Mediterranean herb whose scent will remind you of pizza and pasta sauce. It's delightful - but as an essential oil, it is EXTREMELY potent! Heaping spoonfuls of dried oregano from your spice cabinet into your Italian red sauce can't even compare to the spicy flavor of just one drop of the essential oil. NO home with oils should be without Oregano in the winter months!! I always have 2 bottles on hand because once you experience the miracles, you won’t want to be without it again! And- Young Living is totally taking care of us by offering it FREE this month of October - even before the temps drop and we need it in our wellness-cabinet! Guys…I was interviewed this winter on my favorite PODCAST about essential oils and natural solutions! The Revolution Oils Podcast has taught me SO much about this wonderful, problem-solving world of oils and I was super excited to be invited to the show! iTunes users can click here to listen to Episode #114, or listen via the podcast website here. In this post I’ll show you the ways I use this potent and delectable essential oil. While we're talking about ingesting essential oils, it's worth noting that I only trust the oils of ONE company. I had lots of experience with other brands of oils before I began using only Young Living oils. The other oils smelled different, their consistency was different, their potency was weaker, and they left a residue in my "paper blot test". Young Living's been doing things the right way for over 20 years. Their Seed to Seal guarantee was just one of the reasons I chose this company after lots of digging and research. I will always opt for the quality and purity of their oils over anything from the store or from other pop-up companies that offer oils for cheap. Young Living only uses non-GMO seeds, and NO chemicals on their plants or in the extraction process, ever. You guys - I'm not a chef. I'm just not. But, I do find the hacks and implement them consistently. And it makes my food seem like I labored over it for hours. And a single drop of oil can trick even the most cultured palate into believing I went to culinary school. It's so easy. Cream Cheese Dip / Sandwich Spread / White Pizza Sauce. SO easy and FANCY schmancy!! I literally eat this stuff out of the bowl with a spoon! I use goat cheese (chevre) from Costco. 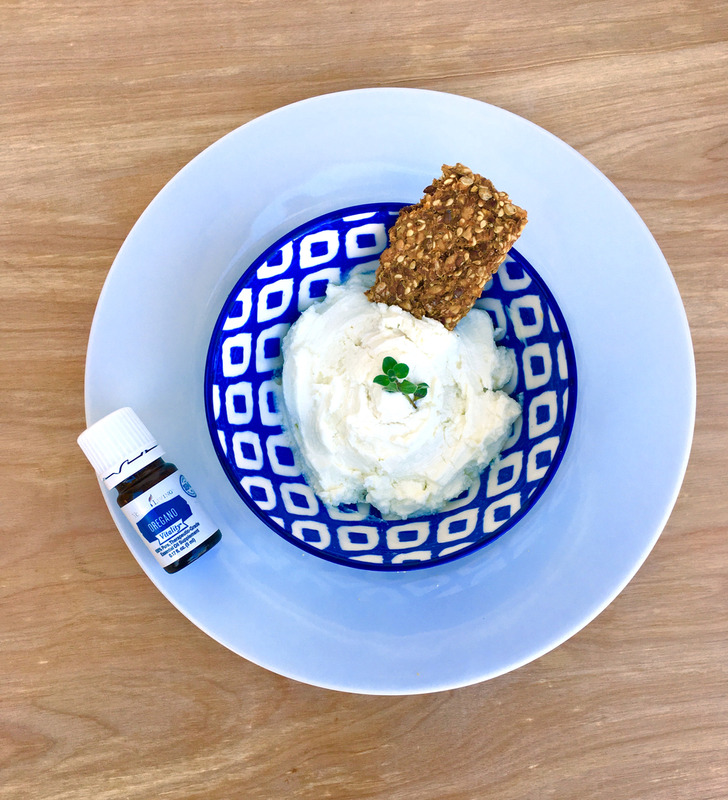 Just take 1/2 cup of soft goat cheese or cream cheese, add 1 drop Oregano Vitality, and a couple tablespoons olive oil. Whip with a hand blender until creamy, adding more olive oil if necessary. Grilled/Sauteed Chicken Marinades. Marinate your chicken for a few hours in olive oil, salt, pepper, lemon juice (or vinegar,) and one drop of Oregano Vitality. Soups. Add just ONE drop (or maybe taste and add a few more) to all kinds of soups after turning off the heat: Italian wedding soup, minestrone, tomato soup, chicken noodle soup (recipe here! ), Mexican posole, vegetable soup, beef stew... or anything Italian, Mexican, Mediterranean, etc. Experiment with other cooking Vitality oils like Celery Seed, Black Pepper, Thyme...and be amazed! ... This oil is culinarily glorious. And INSANELY potent. And besides good taste, this oil is supporting your immune system too - keep reading! Inner Defense - the supplement that was offered in last month’s freebies. It does what it says!! The Raindrop Massage Technique - a powerful protocol formulated by the founder of Young Living for supercharging the immune system, bringing the musculoskeletal system into alignment, and for emotional release. To make: Do a ratio of 1 part Thieves, 1 part Oregano, and 4 parts carrier oil. At our home, this roller blend goes on our spines and feet when we’re going to be hanging around snotty kids (meaning noses, not attitudes…lol) , when we’re traveling, when we’re feeling meh… We use it ALL the time in the cold months! Use an empty roller bottle, OR use a mostly empty bottle of Thieves, and get your free roller fitment that came in your Starter Kit like I did here! Same idea here as with the Roller…but when you get those oils IN you as well as ON you, you’re attacking the gunk from all sides! To make: use 2 drops Thieves, 2 drops Oregano, and 8 drops olive oil. Take once a day when needed, OR every couple hours if fighting nasties. To make ahead of time: You’ll need to use COCONUT oil, melted first, then stored in the fridge so it solidifies and doesn’t leak! Click here for directions my page on how to make capsules ahead of time. So, when things are a bit stuffy “upstairs”, I whip out my Oregano oil. To avoid making my house smell like a pizza kitchen, I typically don’t choose this oil for my diffuser blends. But desperate times call for desperate measures. I add 2-3 drops of Oregano to a tiny bit of water in my diffuser, then I close my eyes and just SIT over the diffuser, breathing deeply, for 15 minutes. Then - magically - I’m able to blow!! Glorious relief. Now - make SURE if you ever use Oregano on your skin that you DILUTE IT!! It’s a spicy oil! Always dilute it at least 1:4 with carrier oil!! Dilute Oregano Oil with a carrier (ratio: 1 drop Oregano per 4 drops carrier) in an eye dropper bottle. Cut a little circle of gauze just big enough to cover the skin item, soak it with 2-3 drops of your oil solution, and apply to the spot. 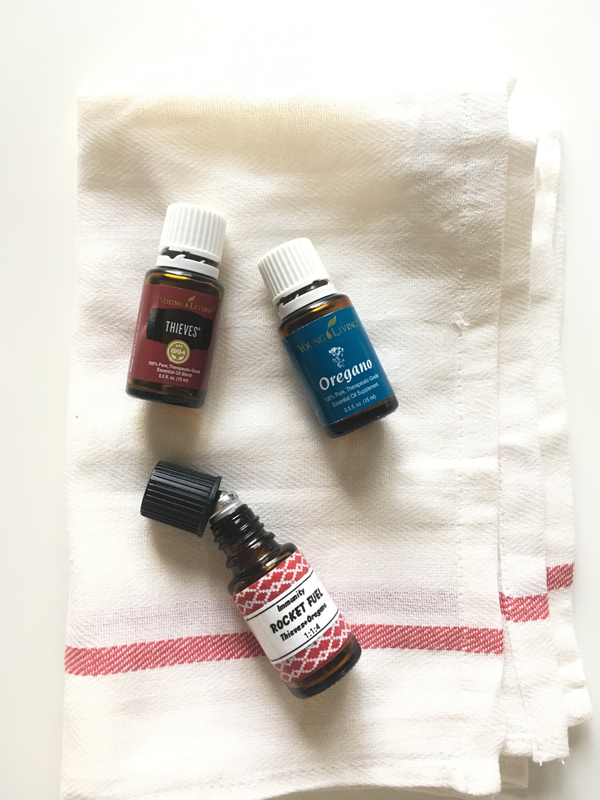 Topical Use: Oregano oil is one of the ingredients in Young Living’s Ortho Sport - a massage blend my husband uses regularly after working out and playing hard! Take 1 capsule every other hour when needed. More on making capsules here. I know you’ll love your Oregano as much as I do! Here’s to staying above the wellness line!